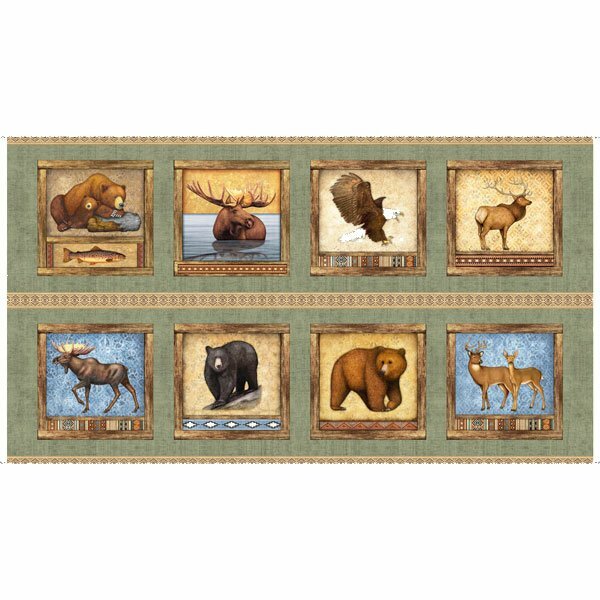 A menagerie of beautiful wildlife with southwestern styling combine in Timberland Trail by © Dan Morris for QT Fabrics. With nature–inspired coordinates, rich color and texture, these fabrics are surely to inspire a beautiful cozy, cabin–chic project for your home. This panel measures 24"x43". Each square measures 8 1/2". 100% cotton.